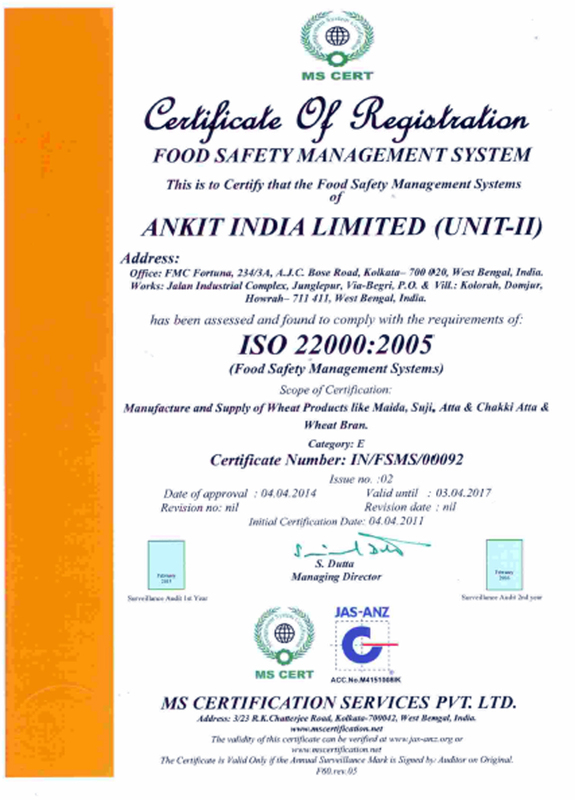 Ankit is committed to deliver food products of consistently excellent quality to all its customers. This is the mantra for the company’s success and a driving force behind our growth. 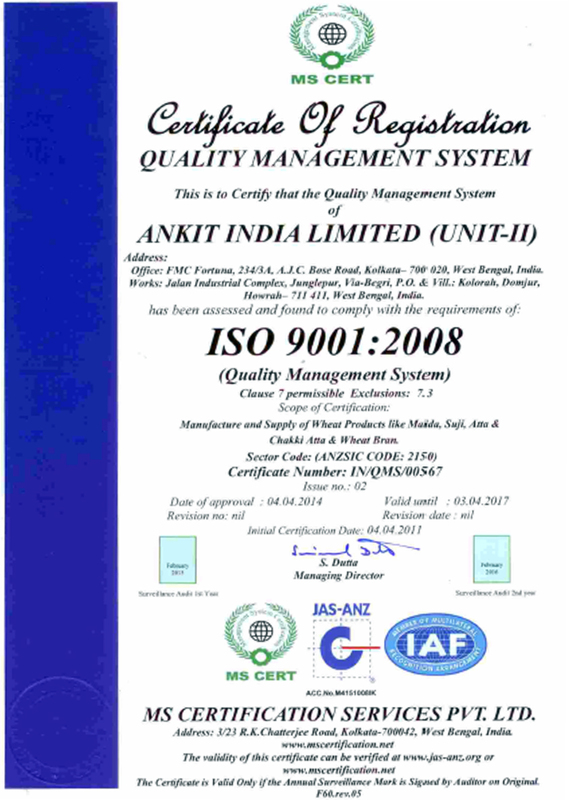 A source of pride for the company, maintaining the highest levels of quality is a top priority throughout our organization. 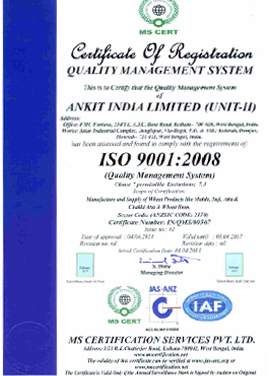 All activities of the company are carefully analyzed and supervised by well-trained teams of experts. 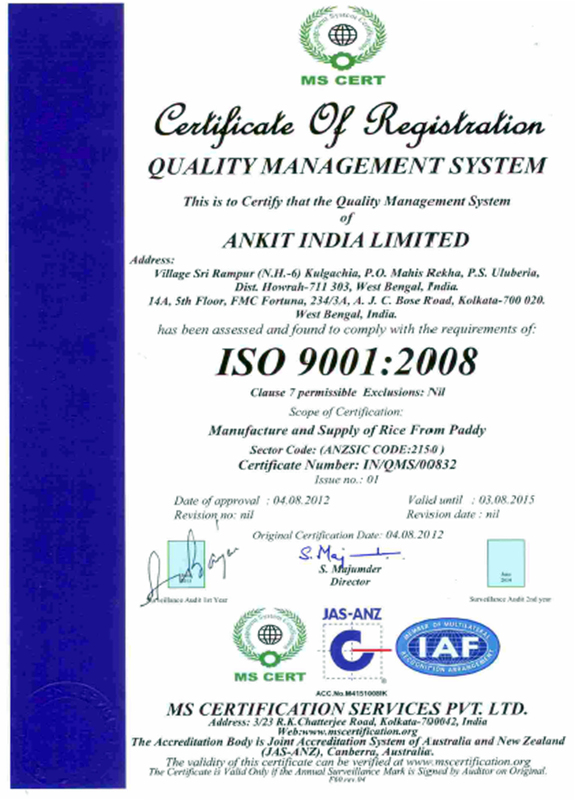 These teams make quality management their top priority and are directly responsible for their assigned operation. 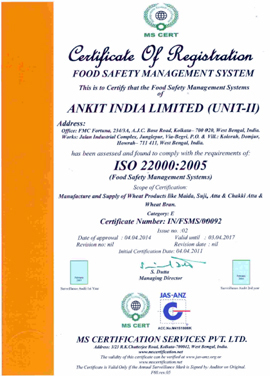 In this way, we maintain world-class quality standards in all areas of our operations – from procuring only the best raw materials to delivering the freshest food products. 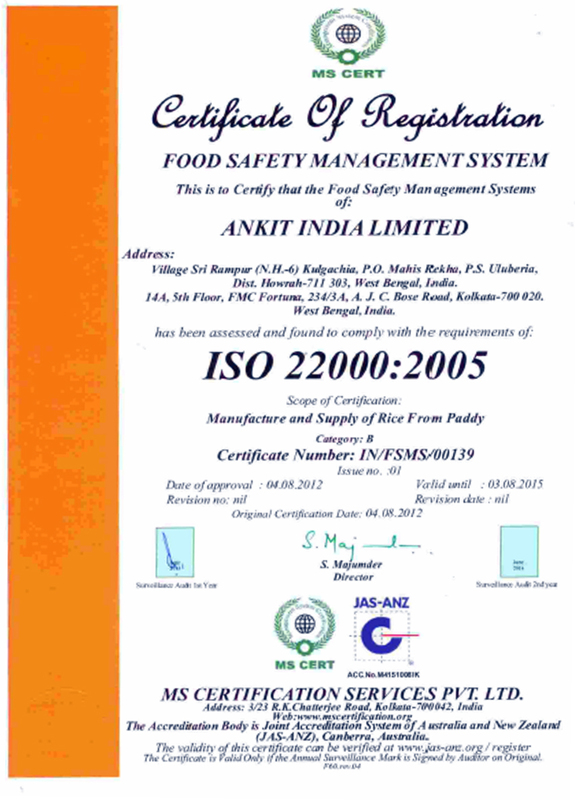 Our mills have received Certificate of Registration under ISO 9001:2008 (Quality Management System) and ISO 22000:2005 (Food Safety Management System). 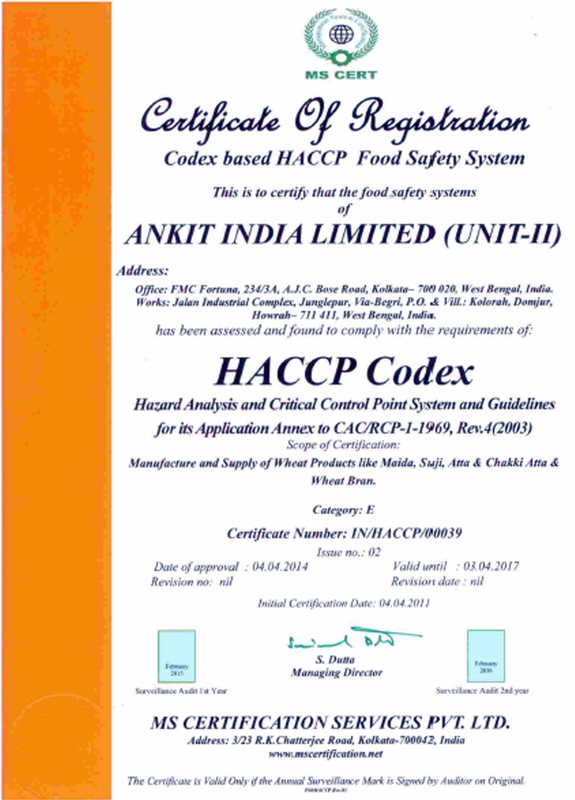 In addition, the Company’s products have been granted “Agmark” Quality Certification Mark of the Government of India. 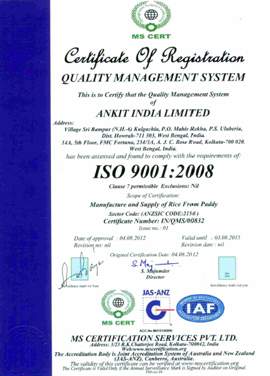 We have well-equipped laboratories to test raw materials, finished goods and to carry out in-process checks. 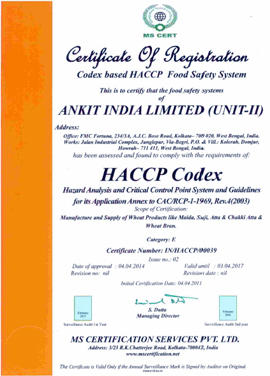 Qualified lab personnel have been recruited to ensure that the tests are carried out as per standards and that all statutory regulations are complied with. 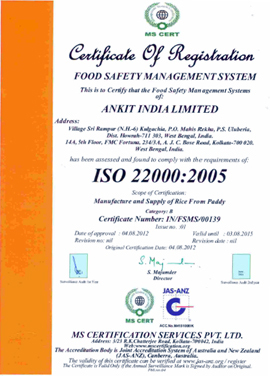 Ankit has set up large warehouses for the storage of raw material and finished product. 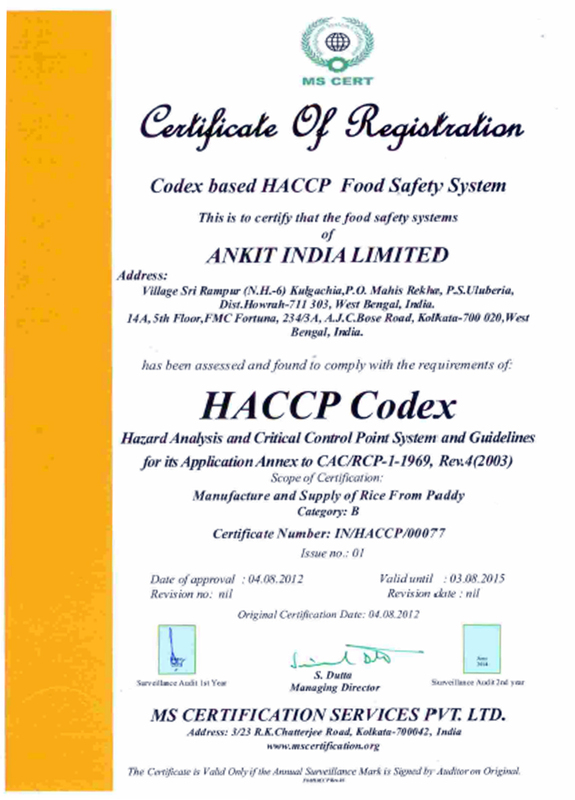 To ensure hygiene and intactness of materials, regular pest control measures are carried out. All warehouses are designed with proper ventilation and undergo daily cleaning. 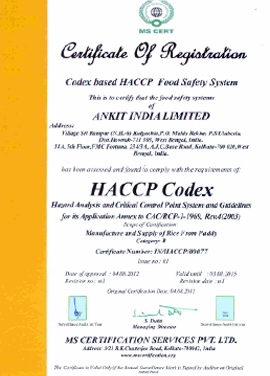 We strive for continual improvement in all our processes, always keeping pace with new developments in the field.